SeaGrass,Bluetooth Radio & 4 Speakers,Playpen Cover,Bimini Cover,Changing Room,5-Step Ladder, Oval Table - McLaughlin's is your Sylvan Pontoon Dealer. 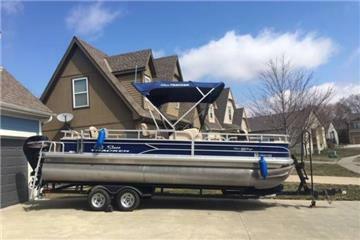 Get your Pontoon Boat listed for sale and on the way to SOLD with just a few clicks! PontoonsOnly is dedicated to be your one stop resource for everything related to Pontoon Boats, Bennington Pontoons, Crest Pontoons, Used Pontoons & Pontoon boats for sale. 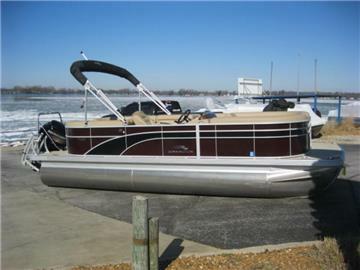 Not only can you buy or sell your pontoon boat here, you can also outfit it with pontoon boat accessories. We've been doing this for over 10 years and have the knowledge to help you out with anything you need (except mechanical issues - sorry). Our service of listing pontoon boats for sale is absolutely free and you can buy or sell your pontoon boat on our site at no cost! So, please take a look at the website and feel free to let us know if you have any suggestions on how we can improve your experience on PontoonsOnly.com!